Here the Savior of the world walked. The second part of the series of films about the Holy Land is over. The second part of the series of films is finished - "According to the Gospel places in the Holy Land"
In December 2017, a long-awaited event took place in Jerusalem - the release of the second part of the film "On the Gospel Places in the Holy Land." Work on the cycle of films about the Holy Land began in 2006, when the creative teams of the Orthodox pilgrim center "Russia in Colors" in Jerusalem and the film studio "Videobrabota" (Germany, Berlin) began shooting documentary films about the Holy Land. The first part of the film, which was released on March 5, 2007, was dedicated to the city of Jerusalem. 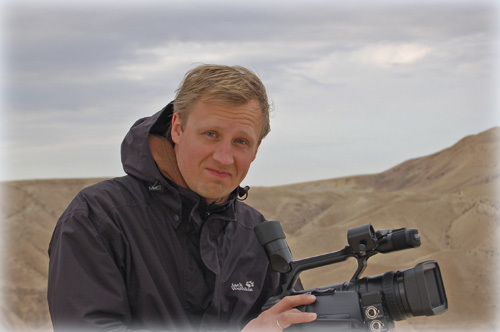 The creative team in the person of the director Roman Busuyev, cameraman Aleksey Fedorov and Pavel Platonov approached the theme of Christian shrines in the form of a live story with the author's conceptual approach, telling about Orthodox shrines and the events of the Bible that occurred in the Holy Land. From the very beginning, the task was set to convey the special and unique atmosphere of the Holy Land with the Orthodox dominant, without embellishing or diminishing the reality of what is happening. The versatility of the Holy Land, its amazing mystery with many shades of historical events, the depth of history, really reflected creatively on the author's approach, and we tried to convey this to the viewer in the form of a calm story line. The combination with musical themes of author's music by Pavel Platonov, specially written for the film, gives a special context for understanding the holy city. The geography of the plot about Jerusalem covered the Old Sity, the Garden of Gethsemane and the Mount of Olives. The work on the second part of the film was continued by Alexey Fedorov and Pavel Platonov for a long period, almost from 2007 to 2017. The authors periodically returned to the shooting, editing and supplementing the film with new video materials. Shooting of the second part covered Galilee, the monasteries of the Judean Desert and Bethlehem. The visual series is harmoniously combined with the narrative of the Holy Land and gives the viewer a special impression of the Orthodox shrines, temples, monasteries, with which the Holy Land is so rich and unique. The film waited a long time for his happy hour. Having finally gathered all the materials together, with the support of the Orthodox pilgrim center in Jerusalem "Russia in colors", the film appeared to the attention of the audience in December 2017. The creative team decided to give the full version of the first and second parts of the film about the Holy Land freely available on the official channel of the orthodox pilgrim center "Russia in colors" in Jerusalem in "YouTube", on the portals "Russia in colors" and "the Orthodox pilgrim in the Holy Land. " We wish everyone a pleasant viewing and are invited to make a pilgrimage and travel to the Holy Land with our Orthodox pilgrimage center "Russia in colors" in Jerusalem. Documentary "On the Gospel Places in the Holy Land". This is a film about the Holy Land, created by the Orthodox pilgrim center "Russia in colors" in Jerusalem in the period from 2006 to 2017. 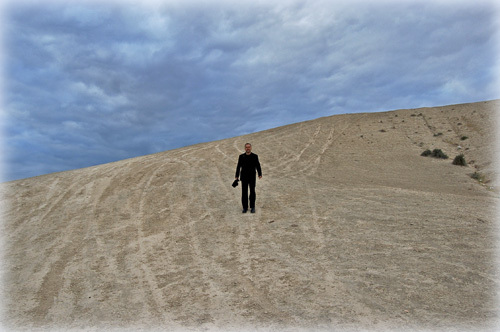 In the film the head of the center Pavel Platonov tells about the shrines of Bethlehem, Galilee, Judean desert. The director of the 1st part is Roman Bushuyev. Berlin. Germany, the operator of the 1st part of Alexei Fyodorov, Berlin. Germany. Director and operator of the second part of the film Alexei Fedorov. Berlin. Germany. shot by the Orthodox pilgrimage center "Russia in colors in Jerusalem from 2006 to 2007.
shot by the Orthodox pilgrimage center "Russia in colors in Jerusalem from 2006 to 2017.